We specialise in all aspects of flat roofing including built up felt roofing, asphalt roofing, fibreglass roof coatings, rubber roof coatings, UPVC corrugated roof sheets, liquid applied systems and much more. We source only the best materials, from brands like Kingspan and Firestone, which means lengthy guarantees on all our work, giving you peace of mind you’re receiving the upmost quality! 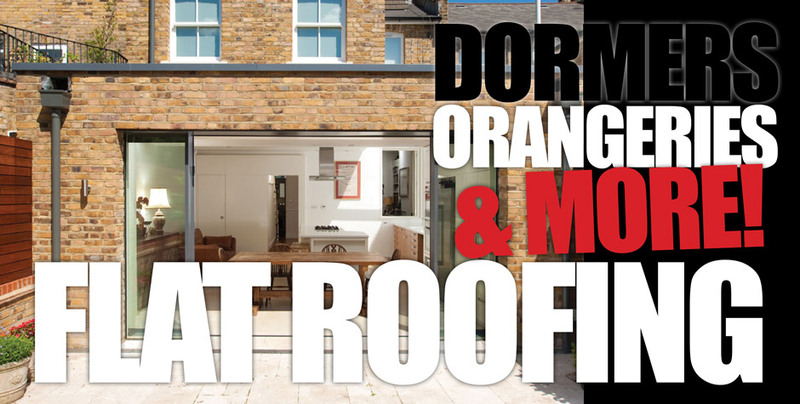 So whether it’s for a flat roof dormer, garage roof, or orangery roof we’ve got the flat roof solution to suit your domestic or commercial needs.